Jun Kaneko has a unique business card. On the back is the English recipe for a Greek salad. In fact, all employees of Cookpad have a recipe on their cards. 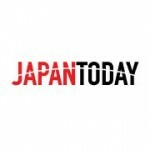 Cookpad is the largest cooking recipe sharing community in Japan, with more than 20 million monthly unique users, including 80 percent of all Japanese women in their 20s and 30s. Its more than 1.5 million recipes are created by passionate home chefs. And now, the site is available in English as well. In his role as director for international service development, Kaneko is responsible for the new English site, which was launched on August 5 and already carries around 4,000 recipes translated into English…and the number is increasing each week. Kaneko says all the dishes on the English site can easily be cooked at home. He recently answered a few questions for us on this latest project. Why did Cookpad decide to launch an English website? Interest in Japanese cuisine is increasing around the world. We are the biggest cooking shared community site in Japan and we realized there are users coming from outside Japan. While there are many sites with recipes for traditional Japanese food prepared by professional chefs, there aren’t any that feature recipes submitted by ordinary people who love cooking at home. 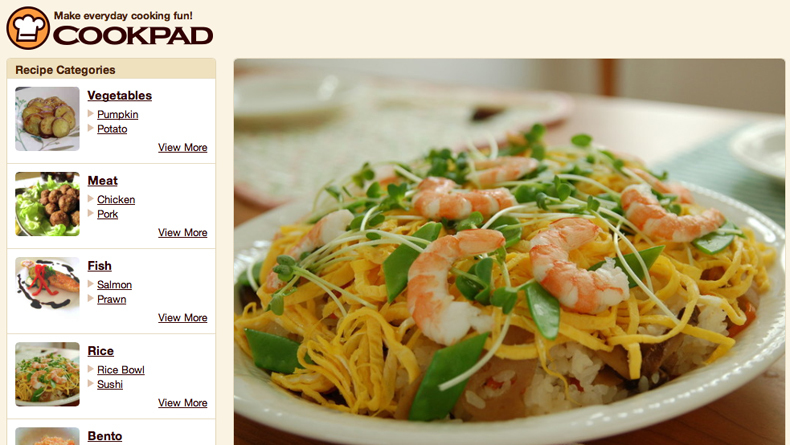 We have more than 1.5 million recipes on our Japanese site and all of them are created by ordinary home chefs. So compared to the traditional recipe sites, the recipes we post are much easier to make and more interesting because they show what kind of food Japanese people eat on a daily basis. People overseas know about sushi and sukiyaki but it is not our daily food. Who are the main users of the English site? All kinds of people. Maybe someone with a Japanese spouse or who is in a relationship with a Japanese person, or someone who has visited Japan and enjoyed the food. It might even be a manga fan who wants to know more about what a certain manga character is eating. So far, the majority of users are in North America, the UK and Australia and some from Japan. How many recipes have been translated so far? As of September 23, we have 3,898. It is increasing by about 400 new recipes per week. Hopefully, we will have 30,000 by early next year. We use about 50 translators, some here but most offshore. Translating recipes is different from normal translation. To do this job, a translator has to be passionate and knowledgeable about cooking because there are so many specific terms and phrases. For example, if you mistranslate a term, the results could be disastrous in the kitchen. Also, we have to be able to explain words like dashi, ponzu and so on, as well as where and how you can buy various ingredients or what you can substitute for them if they are unavailable where you live. Feedback has been very good because they see what ordinary Japanese people are eating at home. We are getting a lot of repeat visitors and requests for more recipes for tonkatsu, matcha and so on. What functions do you plan to add to the English site? For now, it will be just translations, but we are planning to have a recipe-posting feature in the future, whereby you can send in your own English recipe with photos. We are looking at feedback to see what we can add. For example, if users are looking for specific recipes, we’ll add those. It is all part of Cookpad’s mission—to make everyday cooking fun.